With Wednesday morning comes the news that Arsenal centre-back Thomas Vermaelen has suffered yet another setback in his bid to recover from the mystery Achilles injury that was initially supposed to have seen him ruled out for a fortnight – that was back on September 7th, 2010. As if the continued absence of their best defender wasn’t enough to contend with, the Gunners have also been forced to announce that Vermaelen’s central defensive cohort Sebastien Squillaci will now miss the next two to three weeks after sustaining a ‘grade one’ hamstring tear against Leeds in the FA Cup. With the two aforementioned depletions in mind, the national press have busied themselves, presumably working on behalf of Arsenal’s scouting network, by drawing up a shortlist of potential replacements for the club’s deposed duo. 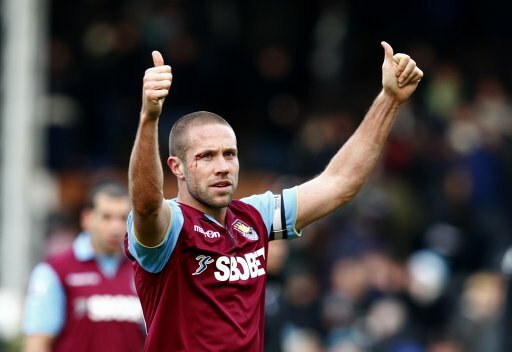 The Independent are going big with claims that manager Arsene Wenger is looking into the prospect of bringing West Ham clogger Matthew Upson back to the club, with a six-month loan deal apparently in the offing – though the paper are also suggesting that Upson is only willing to consider a permanent offer from his former employers. The Daily Mail seem certain that Wenger is ready to do battle with Chelsea and Rangers to sign Juventus centre-half Nicola Legrottalie on a short-term contract, whereas the Mirror seem to reckon that a £20 million bid for long-term target Gary Cahill will finally be forthcoming. Just for the record, two more names being thrown into the ring by a smattering of other assorted tabloids are that of Werder Bremen beanpole Per Mertesacker and Montpellier’s Bosnian international Emir Spahic. In short, no-one’s got a sodding clue what’s going on. i can bet we wont sign anyone song will be deployed as the extra cb! everyones prices are ridiculously overpriced in january and we all know he doesnt like getting the cheque book out! I guess this is what happens when the only youth you develop are wimpy attacking middies and forwards. If I had to guess I’d say he tries to pick up another Frenchman from that wonderful world cup side. how do the nationals get away with writing such inaccurate rubbish. Without the word “linked” a lot of football writers would be out of work. You couldn’t make it up. They do. And mugs buy it. I’m betting by the time Arsene finally finds the cheque book January will be over.